Berry apologizes for arriving late at Carnegie's event, but is glad to have been able to see both Carnegie and her daughter Margaret. 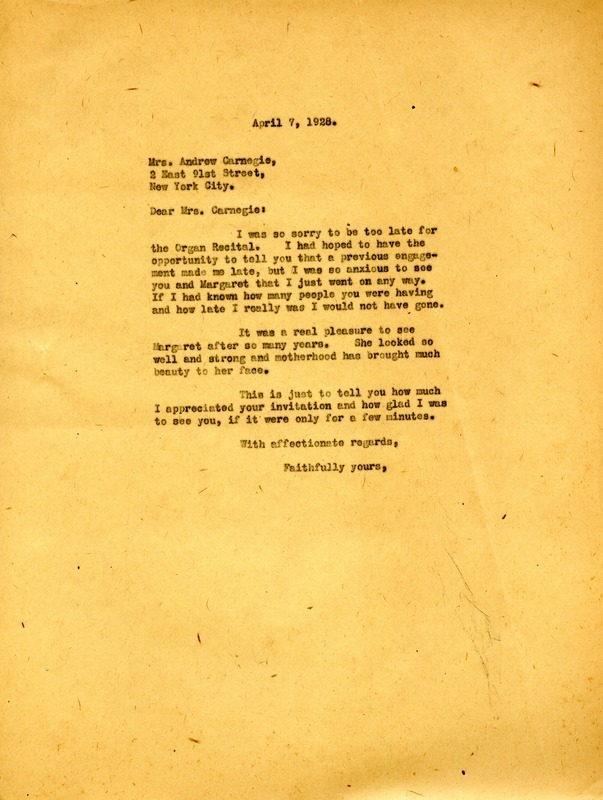 Martha Berry, “Letter from Martha Berry to Louise Whitfield Carnegie.” Martha Berry Digital Archive. Eds. Schlitz, Stephanie A., Sherre Harrington, et al. Mount Berry: Berry College, 2012. accessed April 21, 2019, https://mbda.berry.edu/items/show/6883.